It’s not that your keyword research method is broken, it’s that you might not be grouping phrases according to searcher intent. Insights on keyword clustering and how you can build out better themes for your content (begins at 3:00). In the world of social media, Facebook’s stock took a tumble and we question if they’re finally “paying” for that 2016 data snafu? (begins at 11:27). 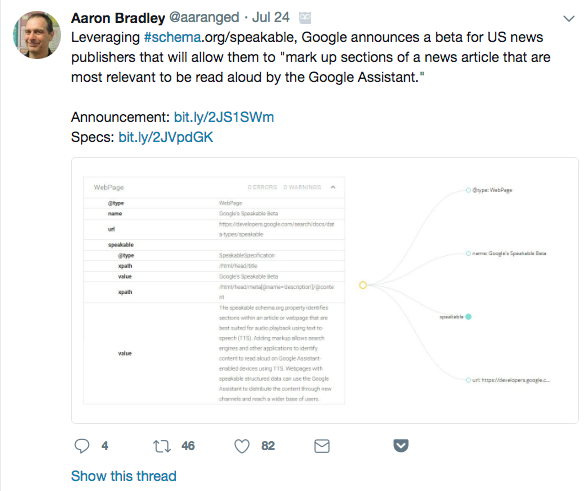 If you are a news or media publisher looking to win at the voice search game, there’s a new schema structured data type you need to pay attention to: Speakable (begins at 20:40). 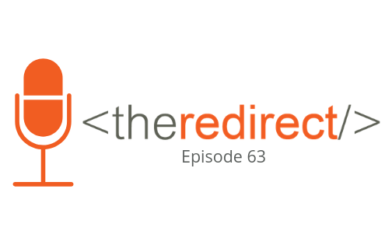 Plus, Google updated its Search Quality Rater Guidelines and we broke it down into bite-sized chunks (begins at 33:30). Keyword research strategies like keyword clustering and organizing keyword lists by intent were popular themes in several MozCon presentations this year. It’s been a long time since SEO was just about optimizing for a single keyword, and these methods create more thoughtful, effective optimization strategies—whether for ads, on-page meta tags, or content. Organizing keywords accordingly can lead to more nuanced and focused content—from product descriptions to resource guides to ad copy—to reach searchers where they are in their journey toward conversion. Separate from those lists, you may want to keep a list that focuses on brand-specific searches, as well as lists based on modifiers, including things like “how” “when” “near me” “in [city],” etc. With the industry finally making a paradigm shift toward human-centered SEO, and the recent updates in Google’s search quality rater guidelines also discussed in this episode, the search marketer’s challenge today is planning and/or creating that targeted, well-crafted content. In a conference call with shareholders this week, Facebook announced its earnings and outlook in a conversation that pitched the stock price 20-23% in overnight trading. For those of you that are math-averse, let me give it to you in dollars: A $130 billion LOSS (yep, that’s a “B”). Investments in security and increased staff for security improvements. Privacy practices finally hitting them right where it hurts…(in the stock price, you guys). GDPR in Europe dropping daily active users—maybe as many as 4-5 million people. United States and Canada are so over “fake news”—which shows in daily active users “flat” with 185M users. Quarterly revenue growth took a hit, so FB reduced its expected quarterly revenue growth over the rest of the year….turns out people don’t like to hear that. Demand for transparency in ads (you can see what pages are running now on their page). Are the headlines worth the hype? It’s doubtful. Facebook’s definition of “slow growth” is $13.2 billion, which is still up 42% in year-over-year margins. That is still 2.23 billion monthly active users, which is still 11% year-over-year growth. Also, lest we forget Cambridge Analytica, which was “going to end Facebook”…that still resulted in a 26% increase in stock price after the dust settled. So, should you freak out? Hell. No. Facebook officials rolled out a new metric to calm the nerves of shareholders: 2.5 billion people (there’s that “B” again) use at least one Facebook app monthly (Messenger, Instagram and/or WhatsApp)…and they are looking to increase monetization of Messenger and WhatsApp further. So don’t pull your ad spend just yet. We were recently asked directly, for the first time, how a particular site is doing from a voice search perspective. Up to this point, there has not been much available to SEOs to determine exactly how well a site is “optimized for voice,” but you can glean insights from how well a site is locally optimized, whether natural language is used on the site, and whether there is Q&A-type content that might win featured snippets and answer boxes on SERPs—thereby being likely to be read by voice assistants in response to search queries. Google has announced a beta feature that would allow U.S. news publishers to mark up sections of news articles that are most relevant to be read out loud by Google Assistant. This is the first instance we’ve seen of structured data built specifically around voice. It relates to audio playback by assistants using text to speech, as answers to topical news queries on smart speaker devices. Again, right now this is being rolled out exclusively to news publishers, who must go through a process of being verified as eligible for this feature. (No “fake news” here—we can hope). The Google beta feature is relevant only for English-speaking U.S. Google Home devices. Our discussion turned toward ethical concerns regarding all the problems facing modern journalism, and the potential for big news players edging out smaller blogger voices. Also, is this feature even useful? Do people even interact with the news via voice assistants beyond maybe asking about the weather? And remember, that is less a function of “voice search” interacting with websites than a function of “smart devices” following specific, programmable actions. Sounds like Pat is still sticking with his prediction on voice search for 2018. You can learn more about Speakable from the Google Developers site and Schema.org. Google has updated their Search Quality Rater Guidelines, and Jennifer Slegg at The SEM Post shared a great in-depth breakdown of the changes. The Quality Rater Guidelines are used by designated (human) quality raters who assess whether Google’s algorithms are serving up the best content (as far as relevance and quality) for various queries.. These guidelines don’t directly affect site rankings, but help inform Google of how they’re doing in serving their users. To make the system as standardized as possible, Google outlines expectations and examples to help evaluators score a page’s quality at one of 5 ratings: Highest, High, Medium, Low, and Lowest. There is a LOT to dig through in this document, but it’s very useful for marketers to consider. An emphasis on the reputation of content creator/entity responsible for main content. If you care about quality (and you should), it’s worth familiarizing yourself with the concepts that can be the difference between a high or low rating, as Google’s algorithms are fed by this sort of data.